Tis the season to be grateful. 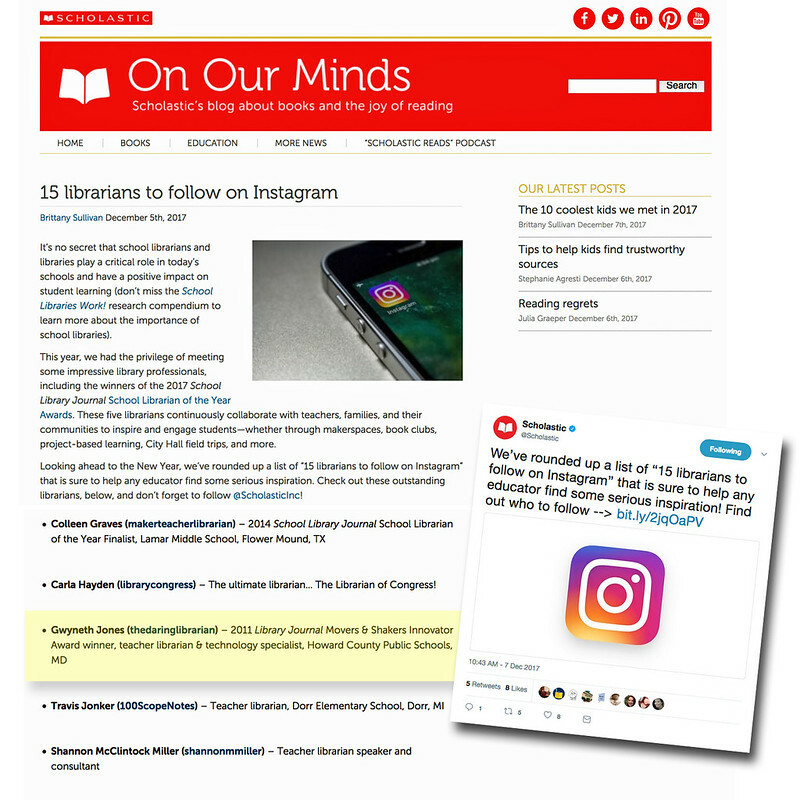 A couple weeks ago the On Our Mind blog by Scholastic shared an article featuring 15 Librarians to Follow on Instagram. I was so thrilled and honored to have been included on this list of librarians. I shared it on Twitter, took a screenshot, made the graphic above for my Annual Report, & of course called my Mom & Dad! But I never thought to blog about it (because, like bragging, right?) until I saw that my fellow ginger librarian and sweet friend Shannon Miller had blogged about it, so I thought - heck, why not? (that's us on the right below - a pic I took 8 years ago - I look tired, she's just gorgeous! While reading this article, I discovered several new Librarians to follow- which is always exciting! 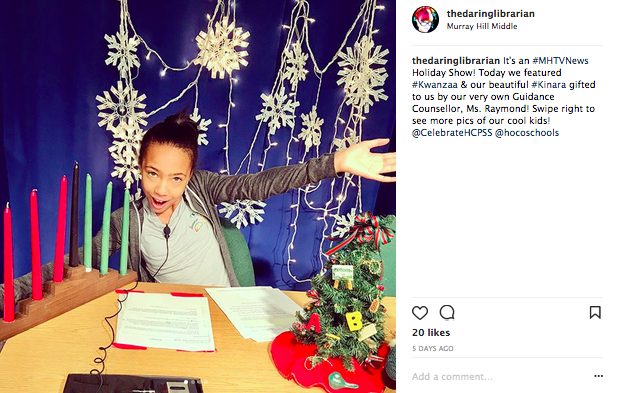 Seeing how other Librarians share the amazing things that happen every day in their schools and world is always inspiring and invigorating. This list is great for that! 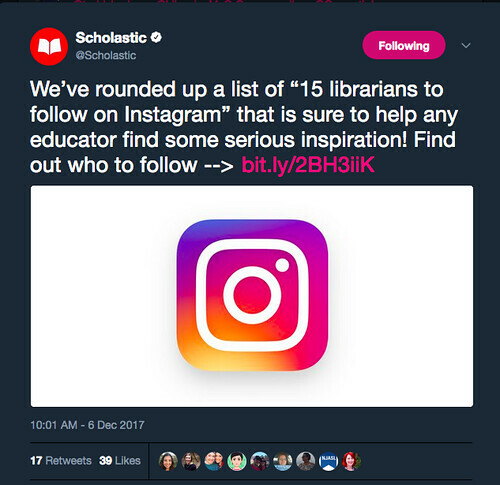 follow Scholastic because their Instagram account is chockablock full of pretty exciting things! PS. Instagram How To's at the end! There are a few people and Instagram accounts though, who were not on that list that I think are inspiring and splendid. These accounts have taught me a lot! From my Californian friend Mary Reilley Clark at the Library at SEMS, she's a wonderful person & an inspired Librarian!, I've been inspired to include more pictures of kids #CaughtReading, Book Promotion, and #BookFace. We were Twitter friends for years, but I got to meet her in person when I was asked to speak at CUE Palm Springs a few years ago! 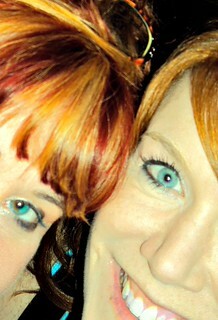 She's also one of the few friends that I've asked to guest blog here. Her unboxing videos were a revelation to me! From the amazing Lucas Maxwell at the London area Glenthorne_Library, I've learned the power of #BookDropLife and finding clever ways to pose and promote book titles and a million other inspiring things he does for his school. From the super cool Fred Jahns of the shhslibrary in Houston Texas was inspired to share #Shelfies, Media programs, and cool library displays. From the dynamic duo of Mrs. Laity and Mrs. Sexton at the Crabber Library, I was taught just the JOY of being their School Library in Hampton VA! I really hope to visit one day. 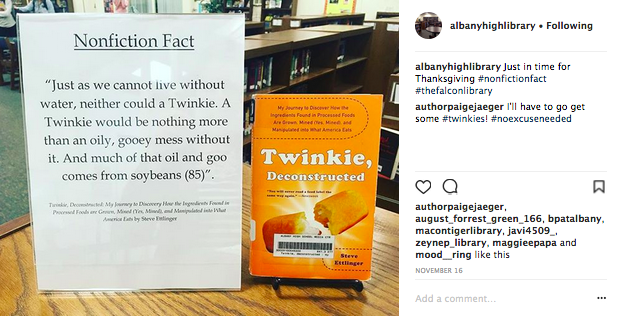 From another dynamic High School Librarian duo: Alicia Abdul & Kristen Majkut, AHS Librarians albanyhighlibrary I'm inspired to post more signage around the Library. We LOVE ❤️playing @spotitgame in the Library Media Center! It's especially great w/our #ESOL kiddos! So, what do I share? On my Instagram, I try to capture those magical moments in school where kids are learning, reading, exploring, creating, making, gaming, and just having fun. I also occasionally share a few personal moments with family and friends, but I really consider this a professional account so it's 95% library & school related. I also try not to focus on ME. Because like with teaching, it's not about US it's about them...our kiddos. First and always! On my Instagram, you'll see only a few selfies here and there - sometimes at conferences, but usually with kiddos coming back to visit. I try and focus on the kids, school events, other teachers, and always, always, I try and push the positive! To me, Instagram and Twitter are two tools that are great to use hand in hand. So, I'll often post to Instagram and then also post on Twitter. Just like our kiddos have different learning styles, I think people have different social sharing styles - why not share wherever we can? Who do you think was left off this list? Do you find lists like these helpful or elitist? What do you like to Instagram? Please share in the comments your thoughts! Again, I was super honored to be included on this list, but I also was kinda bashful about it. But, why? Is that a girl thing or a Librarian thing? And because of that happy but cringy feeling, that's why I posted this - to push myself out of my comfort zone. But why do we do that - toss away compliments, back away from sharing great news? Hmmmm something to think about! What a nice Christmas surprise! 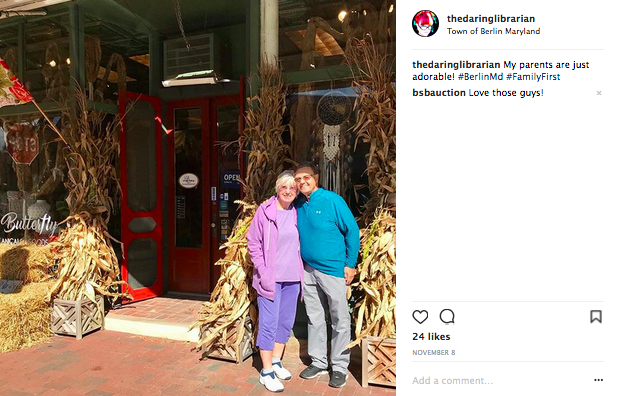 I'm chuffed to be included in such company, and I love seeing your kiddos enjoying your library on Instagram! I adore you sweet friend for so many reasons - but to name one, your use of CHUFFED! Squee! Wish we didn't live on opposite coasts! Miss you & constantly inspired by you! 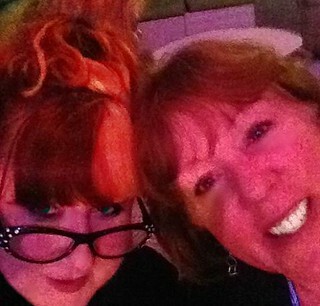 I added a pic of us at CUE Palm Springs when I was so honored to speak there and FINALLY got to meet you in person! I meant to Tweet this out, and I'm gonna, but so glad you found it early! Cheers, dear! Thank you so much for including us on your list! I do feel humbled AND chuffed!! 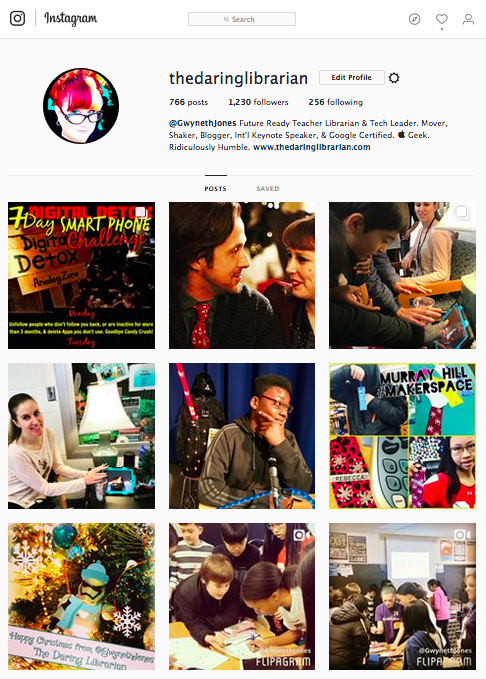 ;) I love using Instagram--I find out what books are popular, themes for displays, ideas for crafts and maker spaces, and TONS more!! I wanted to make sure you take a look at greatlibrarydisplays & bernal_library. They don't share a single thing that's not useful! And for library fashion, I love to follow missinformation:) She is the queen of cute! Have a wonderful New Year! !